All those who have been updated with the latest piece of Bollywood news would be aware that RK Studios will no longer remain. 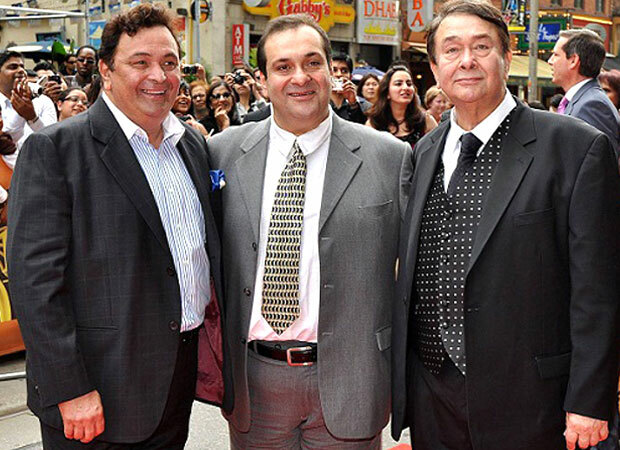 RK Studios, which was an ambitious studio kicked off by Raj Kapoor, will soon be sold off by the Kapoor Khandaan since they no longer consider it as a feasible option. But before bidding it a final farewell, the Kapoors decided to follow the 70 year old tradition of celebrating Ganesh Chaturthi one final time before it will be sold off. Rishi Kapoor, who is known for his outspoken nature, has asserted in reports that they will continue to celebrate Ganesh Chaturthi for the next 10 days exactly like the way they have been doing it for 70 years. Considering that this will be the final time it will be held in RK Studios, they want to ensure that all the rituals are performed properly. He also maintained that where they will go, he knows that Lord Ganesh will always support them in all their endeavors. On the other hand, the veteran actor also spoke about their heart breaking decision of selling off the studio. He stated that they had initially toyed with the idea of renovating the place, making it different with state-of-art technology etc. They had considered options but eventually the entire family thought that selling it off would be a much easier and practical decision for all. Rishi concluded that even though the Kapoors are an emotional lot, they had to take this decision no matter how much it hurt them. For the uninitiated, the Kapoors faced a major tragedy a year ago when a portion of RK Studios were burnt into ashes after it caught fire last year, on September 16. Bergdorf Goodman: If Those Dressing Rooms Could Talk!